Entomophagy - eating insects - is hardly a new phenomenon. We've eaten bugs for centuries, and many countries around the world continue to enjoy them in modern cuisine. But insect eating is currently experiencing a rise in popularity. Restaurants are dishing up insects, the UN is publishing reports on the merits of insect-heavy diets and the Nordic Food Lab is exploring how delicious insects can be. In The Insect Cookbook, two entomologists and a chef make the case for insects as a sustainable source of protein for humans and a necessary part of our future diet. 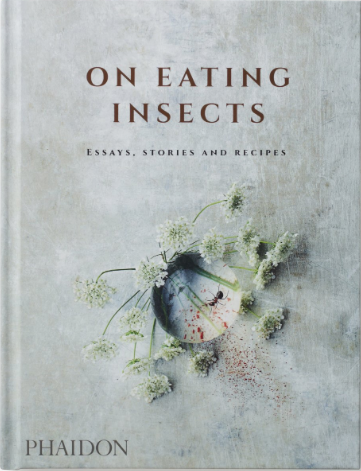 They provide consumers and chefs with the essential facts about insects for culinary use, with recipes simple enough to make at home yet boasting the international flair of the world\\'s most chic dishes. Insects as Sustainable Food Ingredients: Production, Processing and Food Applications describes how insects can be mass produced and incorporated into our food supply at an industrial and cost-effective scale, providing valuable guidance on how to build the insect-based agriculture and the food and biomaterial industry. Meet the beetles: there are millions and millions of them and many fewer of the rest of us — mammals, birds, and reptiles. Since before recorded history, humans have eaten insects. While many get squeamish at the idea, entomophagy — people eating insects — is a possible way to ensure a sustainable and secure food supply for the eight billion of us on the planet. The first book on entomophagy written in this manner, Edible Insects of the World is an enumeration of 2,141 species of edible insects. An introduction to the world of edible insects, complete with recipes and color photographs. The authors document the practice and history of entomophagy around the globe, discovering that insects are a nutritious, plentiful, and varied food source. Eating insects may sound gross to many but you'd be surprised how delicious they can be when properly prepared. Plus eating insects has many benefits! Edible Insects and Bugs, Insect Breeding, Most Popular Insects to Eat, Cooking Ideas, Restaurants and Where to. Earlier civilizations considered insects as a primary protein source, and even today more than two billion people all over the world are sitting down to a hearty repast of insect cuisine. Edible Forest Insects: Humans Bite Back! !